All are very dirty like this poor baby and most are underweight. We in the process of triaging all the new arrivals. Since October 10th SaveABunny's been extremely busy with rescuing a large group of rabbits that had to be evacuated from Salt Point State Park (2+ hours drive north) as well as sheltering pet bunnies whose families had to evacuate or lost their homes. Over 15 wildfires are burning in the larger Bay Area up through northern counties. The fires were sudden, widespread and devastating with 2,000+ homes and businesses lost and 115,000+ acres burned (so far). Volunteers worked through the middle of the night (coffee's our new best friend!) setting up, accepting drop offs, and coordinating emergency foster homes to relieve overcrowding at the shelter. 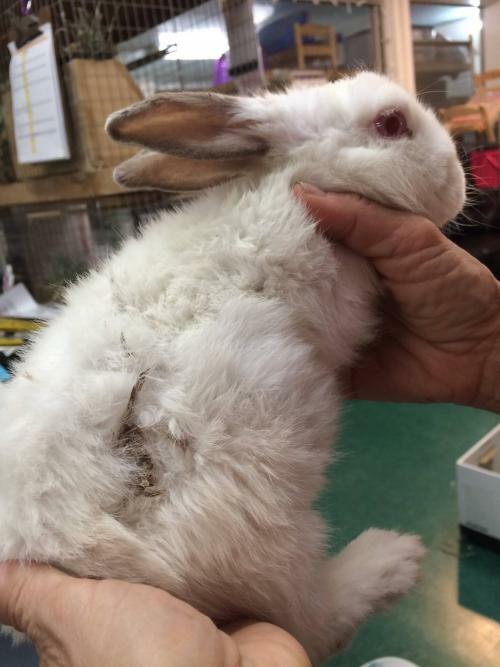 Many of the Wildfire Bunnies (as we're calling the newly rescued group) arrived injured, starving and suffering from a host of rather gross skin ailments (fleas, insects, urine scald, missing fur, etc). We're triaging today and will bring you more on this group shortly. We're so grateful to the bunny community for rallying with offers of transport, fosters, and volunteering -- the fires were very sudden, but really shows bunny people are the absolute best in times of trouble. 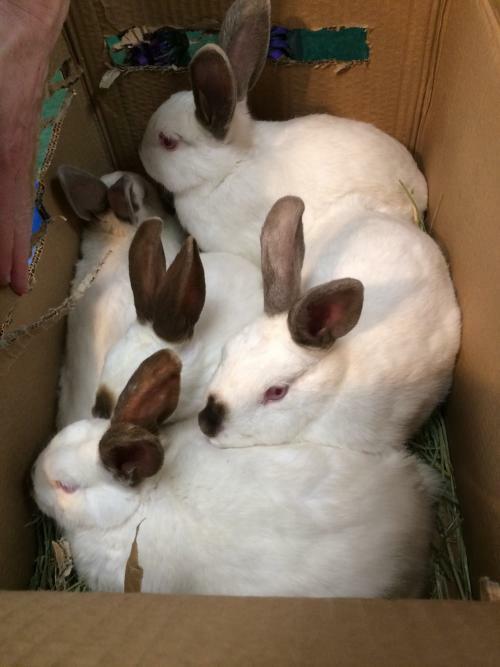 Transport: if you're willing to pick up bunnies from the shelter in Mill Valley, CA and drive them foster homes in other parts of the area, please leave a Comment specifying what geographic region. Will will also be needing transport for spaying/neutering shortly. 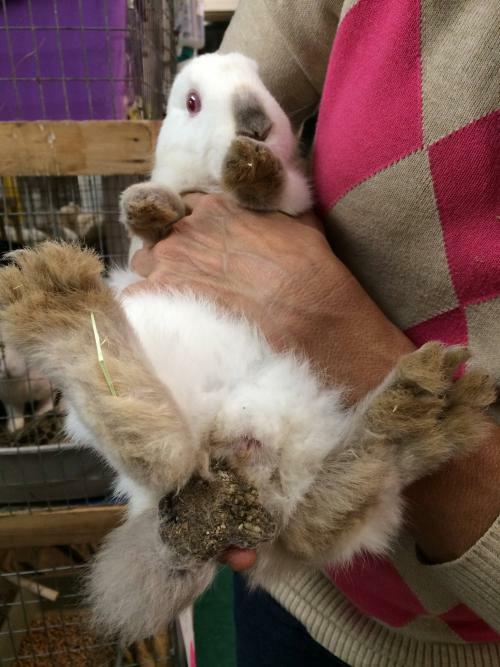 Foster: If you're willing to host a bunny for a couple weeks and you live in the Bay Area region, please fill out the application http://www.saveabunny.org/foster. Donate: If you'd like provide the Wildfire Bunnies with a little toy or some supplies our Wish List is http://tinyurl.com/SaveABunnyWishList. Thank you and we will post more soon and hopefully get around to Wobble Wednesday shortly.